He, however, said the Imo State Government led by Okorocha had resolved â€œto cause harm if not make attempt on the life of the deputy governor. â€œWe recall that during the series of impeachment plots to remove the Deputy Governor, we raised alarm over the grand plan to harm Prince Madumere following his stance against imposition of Governorâ€™s son-in-law, Mr. Uche Nwosu and other irreconcilable issues that bordered on policies. â€œWe also recall how some members of the domestic staff of the Deputy Governor were approached to be used as agents of death to poison the deputy governor. â€œTherefore, Office of the Deputy Governor regrets the tyrannical model of governance approach of the government even in a democracy, where peopleâ€™s opinion or freedom of Speech, association and other fundamental rights are not respected. â€œIt is also regrettable to note that Imo State government should throw caution to the wind by flagrantly refusing to observe ethics, values and respect for the hierarchy of office in an established organization as a government to the extent where the opinion of the deputy governor is not sought before issue as sensitive as posting out staff from the office of the deputy governor by the head of service. â€œWe wish to state categorically that the sudden posting of the operational staff of the office of the deputy governor is a careful plot to compromise the security of Prince Eze Madumere. â€œWe therefore view the whole actions and inactions of the government of Imo State as wholly suspicious and a well-known old preparatory gimmicks before high profile heinous crimes like assassinations are committed. 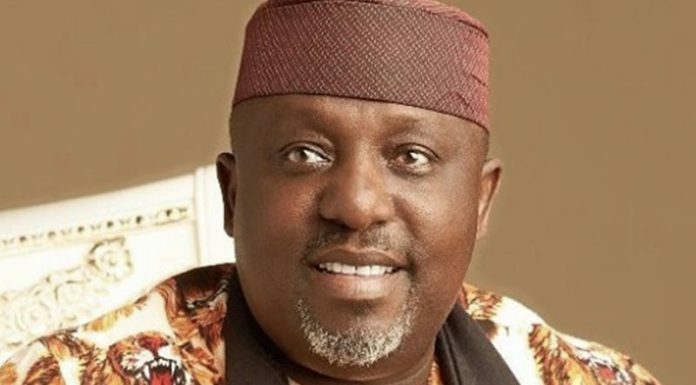 â€œWe wish to therefore notify the Inspector General of Police, Commissioner of Police, Imo State and other security agencies to take note of the suspicious actions and inactions of Imo State Government led by His Excellency, Rochas Okorochaâ€, the statement said.